Although Vincenta Raya was born and raised in Brooklyn, New York, she has called Marlboro, New Jersey her home for the past twenty years. 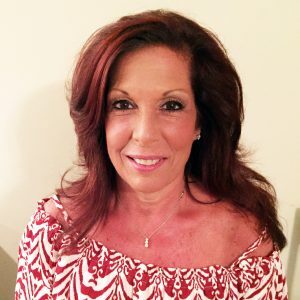 Having worked as a legal secretary for two senior partners in a prominent Manhattan law firm, and then as a Para-professional in the Special Education Department of the Marlboro Board of Education, Mrs. Raya’s prime focus was raising her two children. In her spare time, Mrs. Raya has been involved in event planning for friends, family, and local schools and hopes to bring that knowledge to Unbroken Warriors fundraising endeavors. Mrs. Raya feels very honored to be selected to serve on the Board of Trustees for Unbroken Warriors. This gives her an opportunity to acknowledge her father and uncles as being World War II Veterans. Additionally, Unbroken Warriors gives Vincenta Raya an opportunity to show her gratitude to all of our Veterans and active servicemen and servicewomen who continue to sacrifice so much to afford us the freedom and liberties that we enjoy on a daily basis in this great country.